The highly anticipated Dave Gibbons Watchmen: Artifact Edition,produced in partnership with DC Entertainment, will make its debut at Comic-Con International Preview night on July 23, 2014. Dave Gibbons himself will be on hand as IDW’s special guest, signing at the publisher’s booth (#2643) on all five days of the convention. Weighing in at 152 pages and measuring 12 x 17 inches, the Dave Gibbons Watchmen: Artifact Edition features 100 story-page scans (all shot from the original art) and many extras: covers, portfolio plates, color guides, roughs, early design images and more. Additionally, IDW is hosting an exclusive event: An Evening With Dave Gibbons on Thursday night, July 24th. Dave Gibbons will be on hand to enjoy a fine meal with in a private dining room in downtown San Diego. 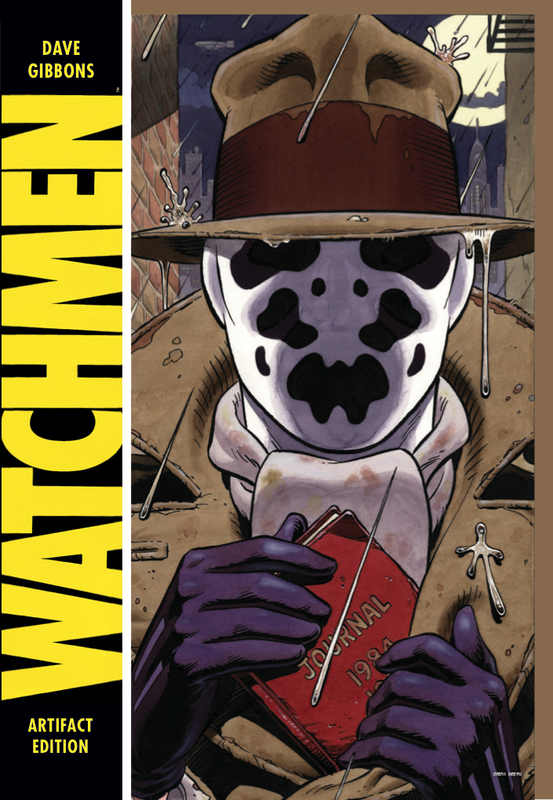 Each attendee will receive an extremely limited version of the Watchmen Artifact Edition. Only 25 copies will be available. Each will feature a unique cover as well as a bound-in commemorative signature plate. Gibbons will sign the books at the dinner and do a small head sketch in each. A photographer will be on hand to document the event. Information about Tickets for the event can be found here: http://idwpublishing.com/gibbons/. Don’t delay in reserving your spot for this one-of-a-kind event.